One of the most aggravating foul-ups that can occur when tying flies is inadvertently cutting the thread at different stages of attaching materials. Don't panic! Most of the time you can salvage the fly by using a rolling hitch. To begin, carefully place the thread at the point where the material or thread broke. Using the rolling hitch, wrap tightly back over the area five or six times. Then, reattach the material and complete the fly. 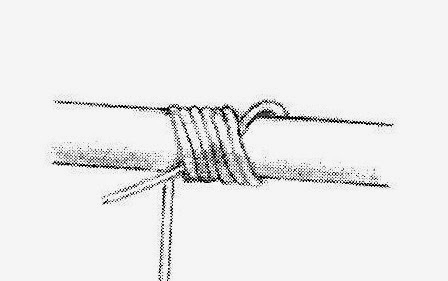 If the break occurred when you were tying the head off, simply grasp the broken thread and use the rolling hitch to complete the head. You probably can avoid this waste of time if you remember to move the material away from the thread before you make the cut. Also, when you finish tying a fly, cut the thread either on the side or top of the head.